The PING G400 Max driver is a 460cc version of the G400 driver. Nearly identical look and feel but even higher MOI and forgiveness. When PING released their G400 line of drivers, I made a smart decision (with the prompting of my fitter) to switch into the standard G400 driver, the most forgiving in the line up. I’ve been extremely happy with it ever since it went into the bag. Then, without warning, PING released the G400 Max. At a USGA-limit 460 cc, the Max takes the forgiveness to an even higher level. Will it put my G400 into early retirement? I tested it to find out. The first thing I wondered when I heard about the G400 Max was, “Will 15 cc (a roughly 3% difference) be noticeable at address?” The answer is maybe. When set next to each other, the G400 and G400 Max are virtually twins: matte black crown, Dragonfly Technology, turbulators, textured “infinity edge.” The difference is that the G400 Max is longer from front to back. Having stared at them next to each other, I can’t un-see the difference, but if you had handed me one then the other, I think they would be tough to tell apart. Hitting the G400 Max and the G400 back to back, looking for a difference in sound and feel, I thought the G400 Max was slightly louder. If I were hitting them blindfolded or with a greater focus on results rather than acoustics, I have zero confidence I could tell the difference. Just like the G400, the G400 Max driver feels solid. Impact produces a low-pitched “thwack” that doesn’t have any metallic, tinny notes. One of the interesting things about the G400 Max is that there’s minimal audio feedback on mishits, but I could always feel mishits in my hands. This is a unique trait among super forgiving drivers. Typically, forgiving drivers make shots all over the face feel the same. The G400 Max gives me a precise sense of where the ball struck the face. I’ve been gaming the G400 driver since it came out, and I love it. The forgiveness is amazing, and there have been days where I’ve needed every bit of it. Somehow, the G400 Max has more. Let’s start with the numbers. According to PING, the standard G400 has a combined MOI of 9,263. For context, the next closest competitor has a score of 7,720. The G400 Max pushes the combined MOI to 9,902. That’s 28% higher MOI! What that does in practice is takes your shots from the edges of the face and gives them long rides down the fairway. I was particularly impressed with shots low on the face. Usually, that’s the absolute worst miss: low launch, high spin, ball goes nowhere. With the G400 Max, the bottom groove still translated into a 250 yard drive. In terms of launch and spin, I found that the G400 Max launched slightly higher than the G400, and had spin numbers that were very similar. In our recent Golf Myths Unplugged, we had a number of players test the G400 and G400 Max head to head. There was no consistent pattern in spin – some were higher spin with the G400 Max, some were lower. A majority of the golfers launched the G400 Max a bit higher than the G400. I thought that my G400 driver would be the one club in my bag that was safe for 2018. I’m no longer sure. The G400 Max driver offers even more forgiveness without markedly changing the ideal launch conditions I get from the G400. Pretty annoyed at PING for releasing this right after I bought a G400. Having a longer release cycle is something that differentiated them from Taylormade and Callaway. They will say that this driver is meant for slower swing speeds, but the reality is that this driver seems to be fitting almost everyone. Why even have the regular G400 now? It seems redundant, I don’t understand who would ever buy the regular G400 over the Max today. WTF, PING? Your frustration is understandable, but I think the G400 is still a good choice for the player that wants the smaller look at address. And it’s not as if the G400 Max makes the G400 any less of a great driver. I think they designed the Max thinking it was for higher HC players with higher forgiveness much like the G Max irons from a few years ago. But when tested they found that not only was it forgiving but it spun lower and went longer, probably than expected. It’s not a new generation of driver just the higher HC version that anyone can use. A happy mistake basically. At least that’s my opinion. I’ve hit it only once but the forgiveness, and distance, is noticeable and it may be going into my bag as a result. I am very satisfied with my Ping G400, and do not intend to buy the new one that now is available. 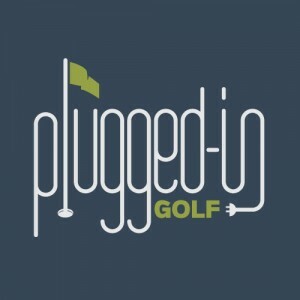 To spend another $400.00 in less then a year, is not in my “happy camp” I do believe that Ping should come out with new drivers every 2 or 3 years, as it is very disturbing to have Ping try and extract money from satisfied Ping owners with a slight difference. Shame on you guys. Throttle back, Ping, and respect your loyal customers. Matt, you are saying the G400 Max is the most foregiving driver on the market. You have tested the Cobra F Max recently. How do you think do these two clubs compare for slower swing speeds in and around the 85-95 mphs? I didn’t review the F-Max, Bill did, so I can’t offer anything in terms of comparison. Sorry. I hit every club available at the PGA Show, and was fitted by the Taylor Made and Ping techs for the M3 and G400 Max, respectively. The twist face on the M3 allowed for a tight dispersion for shots hit anywhere on the face. The Ping G400 Max was virtually the same dispersion on off center hits. The difference was distance. On Trackman, I hit the Ping G400 Max 10-15 yards farther! That day I ordered a G400 Max with the Ping Tour shaft for myself. The Ping is the real deal! I tried a number of the new drivers during demo days here in Tucson. The M4 was a front runner until I tried the G400 Max. I couldn’t believe the difference. I agree with Jim above. I had been using a Callaway V series for 4 years which had a lightweight shaft. I believe this was intended (according to the rep at that time) for seniors (like me!) with slow swing speeds. Additionally, the swing weight was around d1. The Max is d3. With an easy swing, excellent distance resulted. With a good swing, I have gained 10-15 yards with tighter dispersion. I tested the stock “light” flex shaft, and the Distanza shaft which was an upgrade. I didn’t experience any significant difference, but still went with the upgrade. My spin ranged from 1200 to 2000 with either. 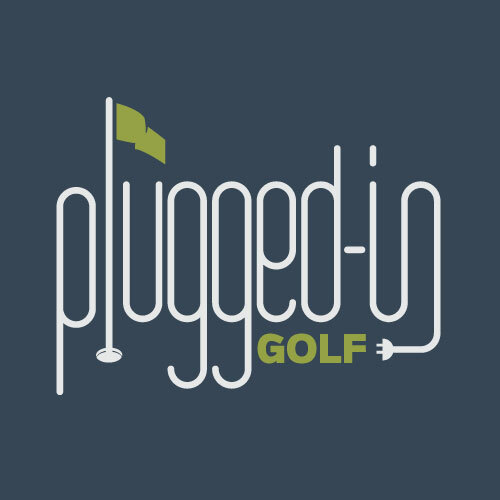 I hadn’t intended to buy a driver, and never have owned any Ping product. What a surprise. The thrill in driving is back!!! Wow! Huge gains! A great testament to our constant advice: GO GET FIT!!! Matt, which shaft did you use in the test? These are very impressive numbers. Thanks for another great review. I used the MCA Tensei Orange that I have (had?) in my gamer, G400. My fitter is an authorized Ping dealer and he had additional Ping tungsten weights for fitting. They are helpful. There are no adjustable weights on any of the PING G400 drivers, though it’s possible that the set weight could be changed by PING. 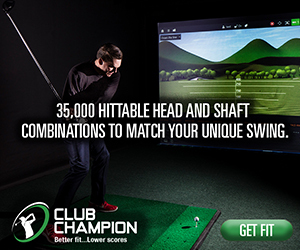 I would recommend working with a fitter to find a shaft that launches optimally for you. I would suggest contacting PING directly to find the fitting schedule for their Tour Van. I have a M2 driver that I have been hitting a little too low. They had a demo day at our club today and I hit both the g400 and the G400 max. I am 65 so I have lost some distance over the past few years. The G max popped off the face and had a real nice trajectory. There was a 15 to 20 yard difference between my M2 and the G max with a nice high draw. I wondered where my distance had gone. I think I’ve found it. Looks like I’ll be getting fitted for a G max real soon. Great review. In terms of forgiveness, how does the G400 Max compare to the Cleveland HB? I’m interested in the Max but the Cleveland is a lot less expensive and I’m looking for forgiveness above all else. So I’m wondering if there is much, if any difference between the two. Unfortunately we’ve had different writers review those two drivers. For what it’s worth, I believe that by the numbers, the G400 Max is the most forgiving driver currently available. I will be fitted for the driver but, just wondering what your opinion on the Alta CB 55 shaft is. Thanks, Dan. It’s a very solid stock shaft. The counter balancing is a good option for the heavy head. Is there a big difference between Alta CB55 regular and Tour 65 regular? Yes, there is a substantial difference between the two shafts. The Tour is much stiffer. I’m in the process of getting fit for a new Ping g400 Max driver, and I have a question for you. First, I game a Titleist 913 D2, 9.5 degrees, and typically hit a lower (8-9 degree) penetrating drive with a stiff Diamana 65 Kai’li shaft. My numbers in a simulator with the G400 Max are similar to yours: SS around 105-107, ball speed in low 160’s, and I’m averaging 11 degrees of launch with the CB Alta 55 stiff shaft and the Max head loft at 10.5. The one thing the simulator doesn’t provide is ball speed, which I know is critical. Based on the gamer ball flight, however, I feel like my spin is not high. Do you think the Alta shaft will hold up for me in the “real world” with my SS and ball speed? Thanks. I’m not sure I understand your situation. Who is fitting you (or, how can they fit you) if the launch monitor that you’re using doesn’t report ball speed or spin? What system are they using? Matt, thanks for your reply. It’s a Full Swing Golf simulator. I mistakenly said it didn’t record ball speed, but I meant ball spin. So, I have ball speed in the 160’s with a launch avg. of 11 degrees, but no hard numbers re: spin. I ended up going with a digitally lofted Max, head at 10 degrees, with the Tour 65 shaft in stiff, cut down to 44.5”. It should work well. I greatly enjoy your reviews; thank you and have a great 2019. Final question: did you keep the G400 in the bag, or did you switch to the Max? I switched to the Max. I’ll take all the forgiveness I can get. I am a high handicapper and I am looking at the Ping series of drivers from the G30 through the G400 max. I have a new baby daughter so I am on a bit of a budget, but as this is an investment I am open to the higher cost. Is the G400 max worth the extra money? From generation to generation, the drivers do get a little better. I don’t know what kind of price differences you’re looking at, nor your budget, so I can’t say how much those improvements are worth. The best thing to do is go somewhere where you can test the different models head to head to see what fits you. Good point. The G30 is as low as $229 and the G400 max is $399. Any input on where the best place to test in Chicago is? For a place that would have both the G30 and G400 Max, I think your best bet would be a PGA Tour Super Store.